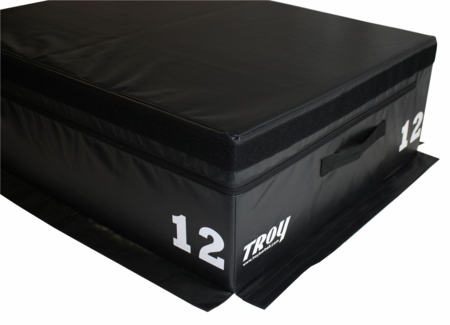 Troy Barbell soft foam plyometric boxes are a safer alternative to the traditional wooden or steel versions which can cause serious injury and athletes not to push their limits on taller boxes. The T-PLYO solves both these problems and allows users to maximize efforts without concern of injury. 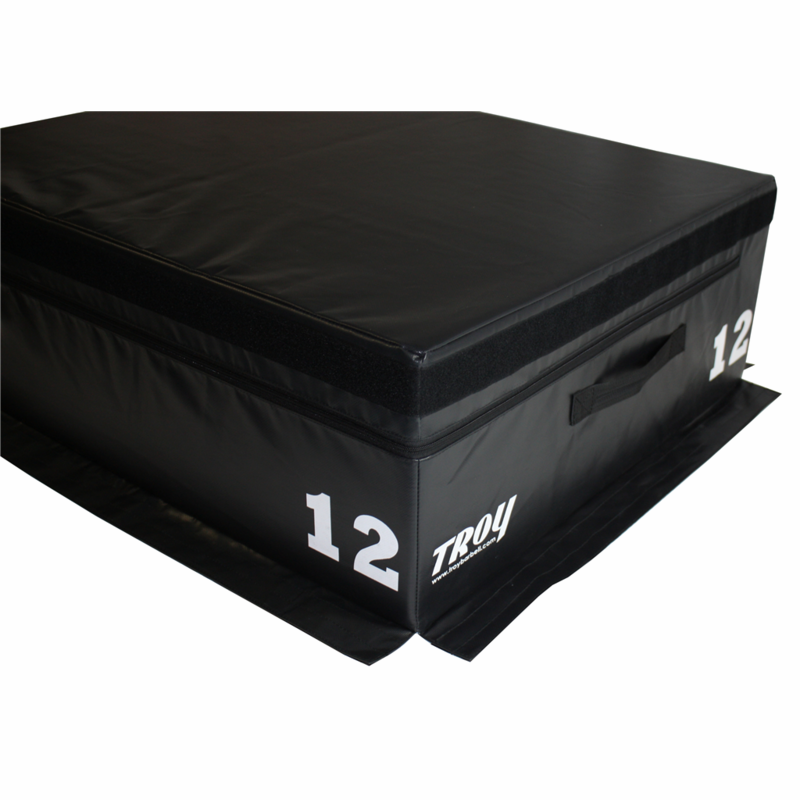 The Troy soft Foam Plyo Boxes are stackable, have heavy Velcro around all four sides and are covered with a heavy duty vinyl. The T-PLYO can be used for a variety of workouts including box jumps, squat depth training, step ups and more. The T-PLYO can be purchased as individual pieces or as a set of four. These soft foam plyo boxes include the following features.